Good morning. I had resolved not to bake much this January. But…it’s cold. And I’m home. And I love it so much. Ultimately my tummy trumped any sort of resolve I thought I had and I’ve been baking a lot. We had some friends over for dinner the other day and I decided to make Toll House Pie. Toll House Pie is essentially a big rich chocolate chip cookie. I got the recipe from my Grandma, but judging by its title I would assume that it originates from Toll House. In a large bowl beat the eggs until foamy. Add flour, sugar, and brown sugar; beat until well blended. Blend in melted butter. Stir in chips and nuts. Pour into pie shell. Bake at 325 for one hour. This is extra tasty when served warm with ice cream! My one regret is forgetting to take a photo before it was gone! Give it a try this week if you like. I had such great blogging aspirations this year. My goal was to blog every Tuesday and Thursday, one day with a recipe and another with something fun that’s going on in our world. Alas, I have failed. I have not given up however, and while today isn’t Tuesday or Thursday, I will blog. We spent last week vacationing in New Orleans! It was really restful. And fun. Tyler had king cake for the first time – chocolate cream cheese filled at that! It was so, so, so delicious. We literally ate it every morning and evening. But you can do that on vacation, right? Oh, and the music in New Orleans is amazing. 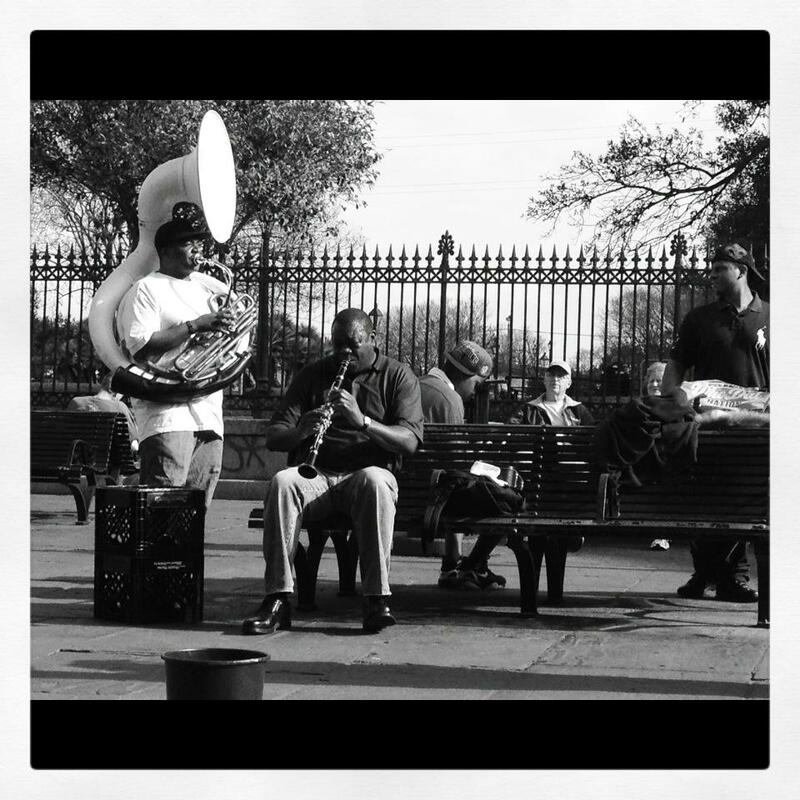 We spent about an hour listening to these guys out on the street in Jackson Square. I was in awe of the clarinet player. It really did make me miss playing. The Sound of Silence is here! Beginning next Tuesday (Jan. 31st) you’ll be able to download The Sound of Silence exclusively on Itunes. All of the profits from the download will go to the International Justice Mission. IJM is doing great things to combat modern day slavery. We really believe in what they’re doing. Go learn more at http://ijm.org. And yes, somehow Tyler convinced me to play clarinet. It was fun. For those of you in the Chicago area, we will be playing a show with Sara Groves and Shawn McDonald at Wheaton College. Get tickets and details here. New Song Title? Your Opinions & Comments. Decision! Well friends, the song title verdict is in. Thank you so much for helping out! It was really fun to read your comments! Initially we thought we’d choose the title based on numbers alone, but in the end, we took into account both the objective, numbers, and subjective, comments. Thank so much for helping! We’re hoping to post more new songs as the release date (to be announced soon!) draws nearer. Rumor has it “As Long as Our Hearts are Beating” is going to be on Pretty Little Liars tonight. We shall see. At any rate, enjoy this lovely video from our trip to Shallotte, NC this past fall. We’ve got a special trreat for you today. As many of you know, we plan on releasing a new record this Spring. We thought we’d share one of the new songs with you today. Woohoo! This particular song is in need of a title. We have two options in mind: Skyline Hill and No Words for This. We’d love for you to lhelp us choose the title by leaving your opinion in the comments. The song was writte just about a year ago at Tyler’s parents’ home in Delaware. The house is up on a large hill that overlooks the skyline of Wilmington, DE, hence the name Skyline Hill. One particular morning I was up and caught the sun rising over the city. The view was breathtakiing and something about the space feeling more like home to me than anywhere else made it particularly special. I was inspired to write. At it’s core the song is a love song about the beauty in nature, in my relationship with Tyler, and in grace. I hope you enjoy! 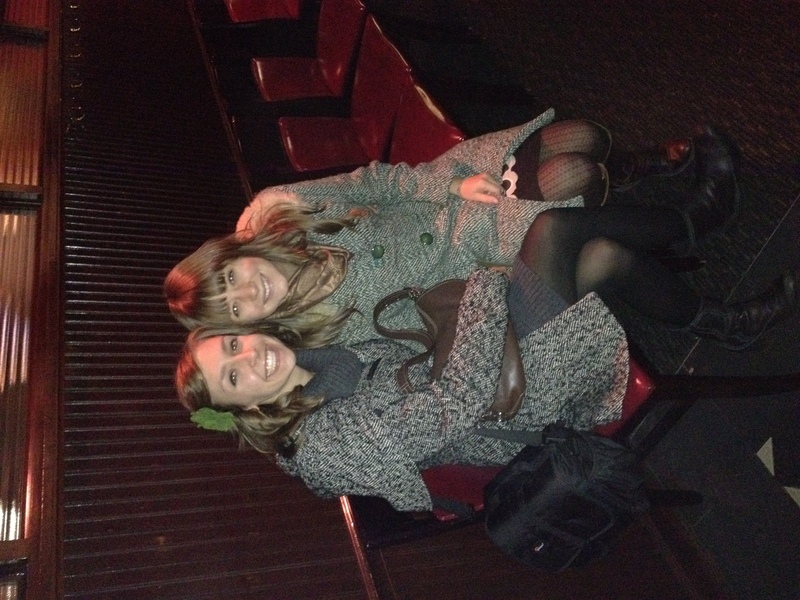 Last week Tyler wrote a lovely post entitled, “How Music Became Our Job: Part 1.” Here’s the link to that: https://jennyandtyler.wordpress.com/2012/01/03/how-music-became-our-job-part-1/. This week I thought I’d share the second part of our story. Once again, if you’re a bullet point person you may want to scroll to the bottom for a summary. We left off with our move to Nashville and with Starbucks paying for us to have our wisdom teeth removed. I hope you enjoyed the video of my loopy self shortly after surgery. Anyway, a little while after we moved to Nashville we began running Facebook ads. I know what you’re thinking: no one actually clicks on those! Actually, they do. We began offering free music in exchange for email addresses via our website. A click on the ad would take the individual directly to our site (where we had music streaming) and invite them to join the mailing list. When we moved to Nashville we had 300 email addresses on our list, and the majority of those folks lived in DE. Within 5 or so months we had 3000 emails and we decided to try and book our very first tour. Tyler quit his job at Starbucks in January of 2009 and focused on booking a tour. We didn’t really know what we were doing, so we reached out to our mailing list for help. We asked folks to suggest venues or put something together at their church, college, or even host a show in their living room. We played for free most of the time. We also recorded our second album, “This Isn’t a Dream” in our living room. Once again we relied heavily on our musical friends and family members. We left our home in Nashville at the end of March. Our Ford Taurus was packed to the brim with CDs, t-shirts, guitars, and sound equipment. I honestly don’t know how we fit it all. We cut costs by staying with friends and family members (and even strangers) along the way, and we tried to pack sandwiches, fruits, and veggies to eat. My mom gave me a bunch of Starbucks gift cards before we left and let me tell you, it helps to have something familiar when you’re driving through the middle of nowhere after playing a show to 5 people. And that happened a lot. We came home from that first tour exhausted, but somehow we hadn’t lost money. In fact, we made a little. I went back to work at my job for about a month and Tyler started planning another tour in the fall. We decided to go back to the cities where we’d had the most success that Spring. We made rules for ourselves when it came to touring: play no more than 5 shows in a row, travel 3 weeks and take the 4th off, travel no more than 6 hours on a show day, etc. We continued to run facebook ads and started giving away music on Noisetrade as well as through our website. Our mailing list continued to grow. We traded in our Taurus for a Honda Element and we left that fall a bit more confident and much more comfortable. That Fall we saw more folks at our shows and we started selling more CDs. Churches and colleges started inviting us to play instead of the other way around. We began to value our time more and stopped taking any gig we could get. We’ve found it’s better to play a few shows to good crowds (and that pay) instead of a ton of shows that don’t pay to empty rooms. We came home feeling encouraged. We moved into our friend’s attic to save money and toured again in the Spring. We came home and put together Faint Not, released it the following Fall, and toured again for the Fall and the next Spring. One of the best parts about touring on such a small scale is the people. We get to meet so many amazing folks and really spend time getting to know them. We have friends all over the country who have come to feel like family. After this particular show we spent some time just passing the guitar around and sharing songs with each other. The host and her good friend are now missionaries in Africa. We keep in touch pretty regularly and hope to visit them. this evening turned into a big slumber party. most of these folks camped out on the hardwood floor. the host gave us her bed. such sweet people. It’s important to note that no independent musician or group is truly independent. We’ve sought advice from folks who are further along than we are in the business and have found support in our friends and family. Music City Unsigned here in Nashville has been good to us and helped us play around Nashville and connect us to other artists in the city. Our friend Levi Weaver lent us equipment when we set out on the road for the first time and offered us great advice when we left for our tour with Sara Groves this past fall. Noisetrade has been incredibly supportive. Our fans helped us release our third record, Faint Not, in November of 2010 by contributing to our Kickstarter campaign. Mac Powell, whom we had the opportunity to open for in Delaware, agreed to sing on a track for free. 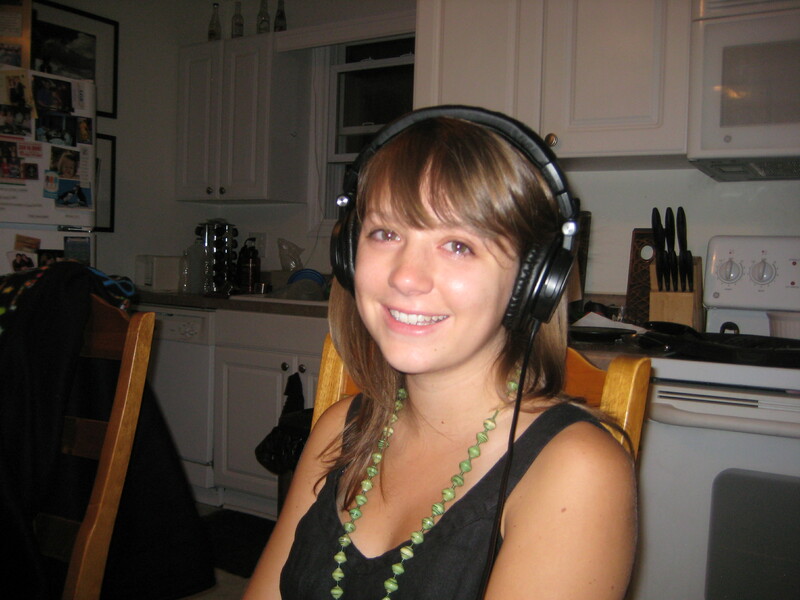 tears of joy as Jenny listens to Carry Me with Mac's vocals for the first time. Facebook and Twitter have been so important for us. Sara Groves actually heard about us through a tweet and when Derek Webb first tweeted about our music being on Noisetrade we picked up a bunch of fans. Under the Radar has played our music on their podcast for the past year, helping us reach a group of people we couldn’t otherwise. Our photographer friends (Joey Cardella, Emily Troutman, Q Avenue Photo) have photographed us for either next to nothing or free. Our friend Nathaniel helped us shoot the music videos for This Is Just So Beautiful and Faint Not at an incredible price. Every musician needs support. We’ve been blessed to have so much. So here we are. We finally live in our own apartment again. We recorded a new record with Mitch Dane (a real producer) in his professional studio this Fall and we plan to release it this Spring. We even traveled on a bus with a group of wonderful people back in October. God is so good. – Giving away music for free is really important. We continue to give music away in exchange for email addresses via our website and Noisetrade. – We utilized our mailing list in order to book our first tour. Fans like to be involved in what you’re doing. – We travel back to the cities where we see growth and value our time when it comes to playing shows. – We set rules about touring: play no more than 5 shows in a row, travel no more than 6 hours on a show day (this doesn’t apply when you’re driving through the night on a bus), tour for 3 weeks and take off the 4th. – No independent musician is truly independent: We rely heavily on friends, family, the artist community in Nashville, musicians who are further along in their career, and social media. One of my very favorite fruits is the cranberry. It’s colorful and juicy and goes perfectly in any sort of baked good, be it cookies or cakes or muffins. I went to the grocery store this past weekend and found bags of cranberries on sale for 50 cents! Seriously. I’ve never seen anything like that before. I bought a bunch of bags (I’m wishing I’d bought more now). 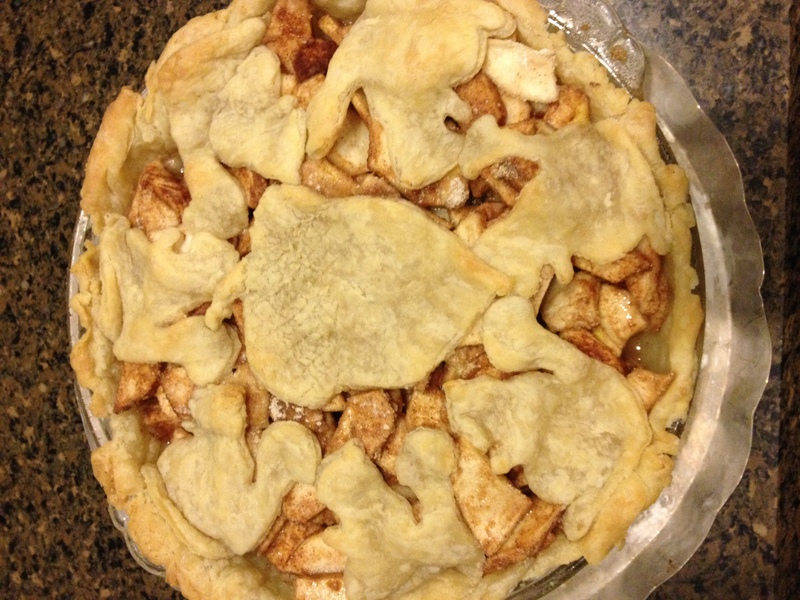 My sister was here last week and we love to bake together. 1 tsp. cinnamon – or as much as you’d like. Cream the butter and the sugar. Add the eggs and the vanilla and mix well. Fold in the sour cream. In a separate bowl combine the flour, salt, nutmeg, cinnamon, baking powder, and baking soda. Add the dry ingredients to the wet mixture and mix until well blended. 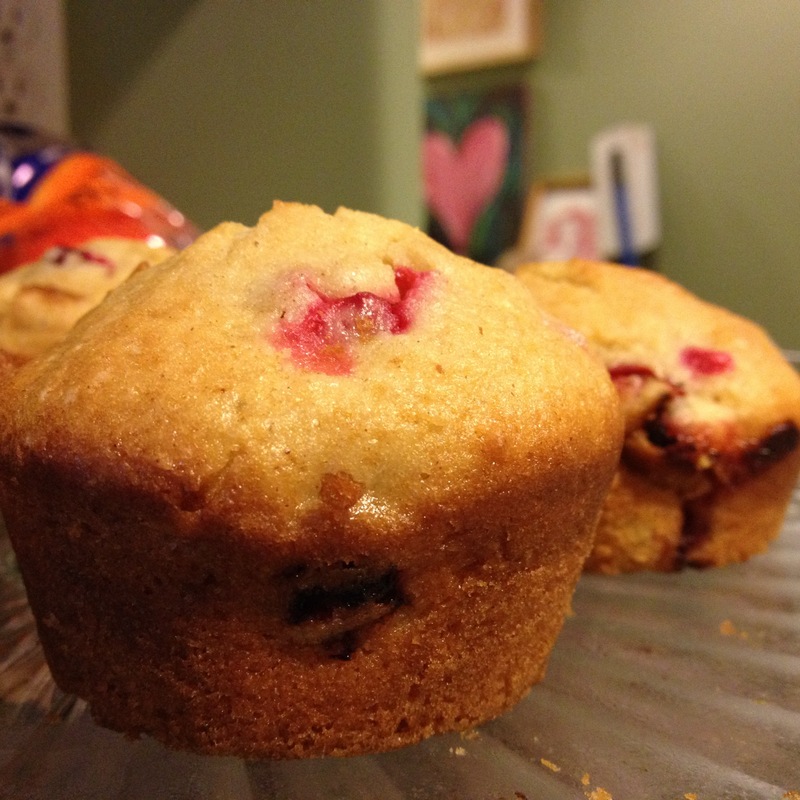 Fold in the cranberries. Fill greased muffin tins 2/3rd full. Bake at 400 degrees for 12-15 minutes, or until they’re done. I think it could be nice to add a little crumb topping to the muffins using brown sugar and butter. How did you go full time with music? We’ve answered bits and pieces of this question in person, emails, and over the phone, but I’m not sure if we’ve given an extensive answer in one place at one time. So here we go, at least with part 1. Storytelling time. If you’re a bullet point person, you might want to go to the summary at the bottom. When Jenny and I met a little over 7 years ago, in the Fall of 2004 at the University of Delaware, we started hanging out, a lot. During those hang out times, we played and wrote a lot of songs. Most of those songs weren’t good. At the time we thought they were great, but that was because we didn’t have much experience with songwriting. Wikipedia lists all known Beatles songs, 306 of them, mostly written by Lennon and McCartney. In the early Beatles days, Lennon and McCartney would go over to each others’ houses to just write songs. They got the bad songs out early on in their career. Songwriting is a craft; so in general, the more you do it, the better you get. 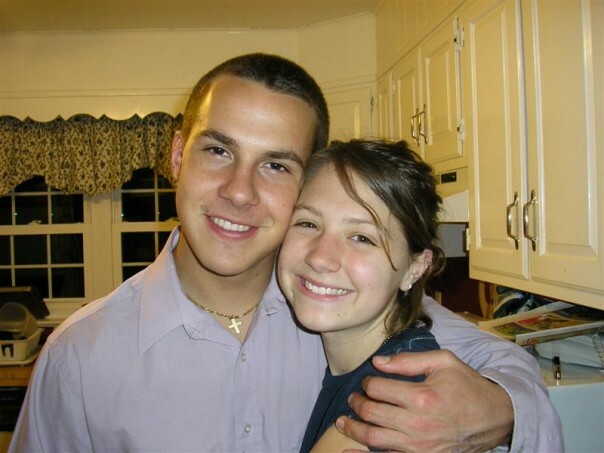 In those days, Jenny and I would mainly play for friends, at apartments and houses at the University of Delaware, BSM (Baptist Student Ministry) concert events, in coffee shops like Starbucks, and at open mics. Sure, the songs weren’t well written, but we had a decent sound and our friends would come out to support us nonetheless. Sometimes those friends would bring some of their friends, which was nice. Before meeting Jenny, I had some places around Wilmington and Newark, DE that I’d play once every 2 or 3 months. After some time, I got enough of those gigs that I was playing about once or twice a week. Many times, I’d go to the prospective venue, drop off a burned CD with homemade packaging, try to talk to the manager about other venues I’ve played and the type of sound I have, and then follow up about a week later. I’d leave a short message and my email, phone, myspace and website on a note with the CD. One time I walked up and down the streets of Newark, DE, with my high-school violinist-friend Scott Von Duyke and went into bars, cafes, restaurants, and coffee shops to ask if they’d listen to a song and maybe give us a night to play. I did a similar thing in Avalon and Stone Harbor, NJ. *Funny side note about Avalon and Stone Harbor. On Friday nights, I’d play at a small coffee shop called Coffee Talk. On Sunday nights a 12-year old girl played country music, which I despised at the time. I found out later that 12-year old girl was Taylor Swift. Moving on, there were some venues I really wanted to play that didn’t show any interest, some that flat out said no. I came to believe God opens some doors and closes others; that’s one way He guides us. When Jenny entered the scene, I asked her to join me at many of the shows. We played a bunch of cover gigs so we could get paid. Homegrown Cafe in Newark, DE gave us $150. Deep Blue in Wilmington, DE paid $400. $400 is good amount of money now, so you can only imagine how much it felt like to us back then. During those shows, we’d throw in our original songs about half the time and because we were mainly background music, the venues didn’t mind. During those days, either Jenny or I would get invited to play a benefit, a church event, or a camp as a solo act. Our artist names were just our first and last names. 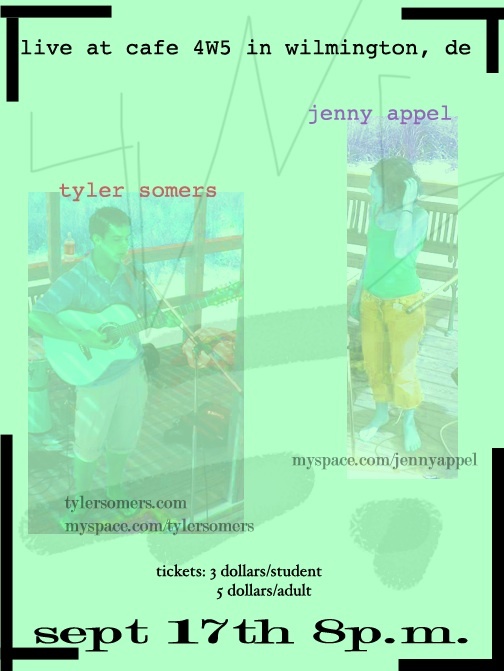 She went by Jenny Appel and I went by Tyler Somers. I would play guitar and sing harmony for her and she’d sing harmony for me. But we were always two separate artists then. Either the gig was under her name or mine. 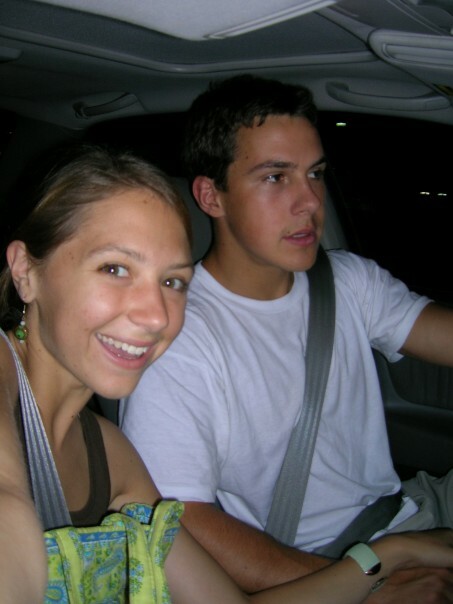 “Jenny & Tyler” didn’t happen until much later. That part of the story will come. Man, I thought this looked so good then. I made Jenny a website and EP of a few of her songs too. I learned about making websites when I was a sophomore in college while I worked at a computer lab on campus. I picked up on css, html, a little php, Photoshop, and Illustrator. At the Mac Lab, I had the freedom to work on our recordings and website, with the latest web design technology available right in front of me. I learned about recording when I was a senior in high school at Tatnall in Wilmington, DE. That year, Tatnall just so happened to install a recording studio. I spent hours and hours each day in there, learning the programs. A few months later, I purchased an Mbox with an audio program called Pro Tools, the industry standard, new for $250. I’ve been using Pro Tools ever since. During the summer of 2006, when Jenny and I had been together for about a year and a half, I trekked to Nashville to immerse myself in its music scene. I’d been there for a month during January of that year to do an internship at Provident-Integrity Distribution in Franklin, TN, so I was somewhat familiar with the town. That January, I slept in the closet of my friend Meredith Jones’ Berry Hill apartment for free and that summer I slept on the couch of my friend Matthew Carrier’s Green Hills apartment for $100/month. Good times. I wanted Jenny to come, but her dad was strongly opposed to sending his eldest daughter to a distant city to be near her boyfriend. Completely understandable. I didn’t like it, but I understood. A couple weeks later Jenny’s dad was driving home from his work at Andrews AFB near D.C. and he felt like the Lord put it on his heart to let Jenny go to Nashville. If you knew Jenny’s dad, you’d know how difficult this was. Nevertheless, a day or two later, he put Jenny on a flight from Baltimore to Nashville and I picked her up from the airport. We went to the Pancake Pantry to celebrate, then walked next door to see about getting Jenny a job. Sure enough, A Thousand Faces, the first place we tried, was hiring. A day prior, an employee named Jenny had left. God had just started opening doors in Nashville. 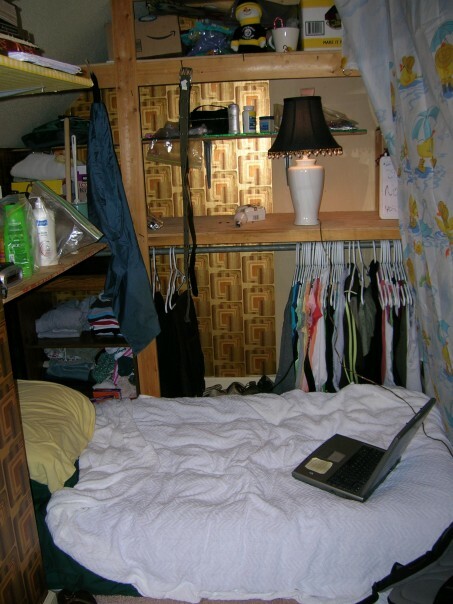 Oh, and Jenny lived in the very same closet that I did back in January for the whole summer. It was a good sized closet. Note the air mattress. happy to be in nashville! During that summer, we were also able to record at a real studio for the first time in our lives, for free. 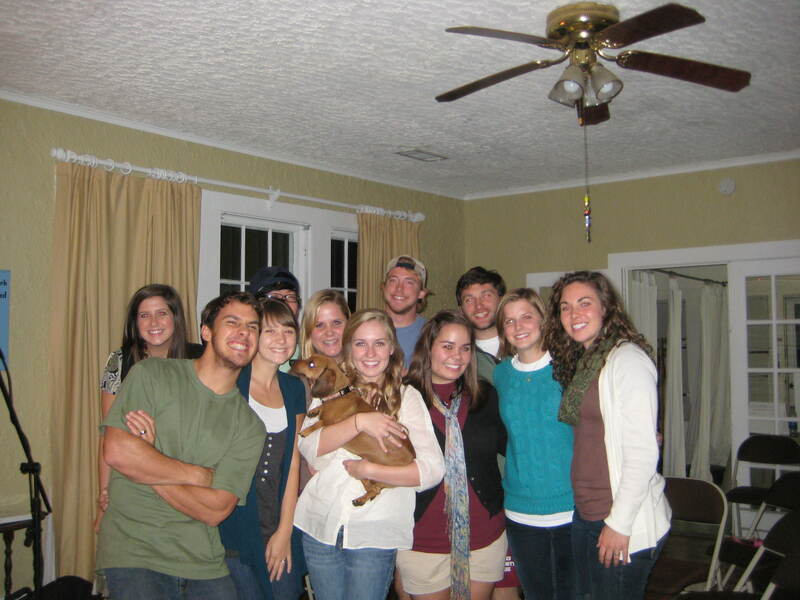 Jenny had a friend from high school named Brett McLaughlin who went to Belmont University in Nashville and had worked with another Belmont student who happened to be an intern at a studio called Dark Horse. This intern, Daniel Mixer, graciously gave us some studio time to do vocals at Dark Horse. We went into the studio with some scratch guitar tracks I had recorded in my living room. 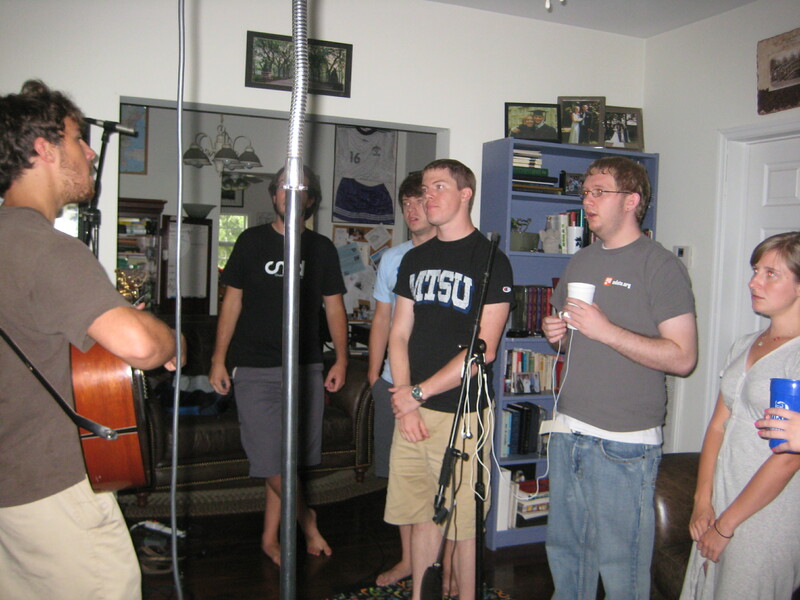 Many of the lead vocals on “A Prelude” were recorded that day. Over the next year, musical friends from Nashville and Delaware lent their time, talents, and studio equipment for either free or almost nothing. I was a senior in college, taking 17 credit hours and working three jobs, so it took quite a while to finish the record (plus I didn’t really know what I was doing). The intern at Dark Horse, Daniel Mixer, hooked us up with a guy named Brian Miku from Shelby, TN. He agreed to stem-mix and master the record for an incredibly low price. After that summer, we drove back to Delaware for our senior year of college. A month later, I put a ring on Jenny’s finger (yes, while kneeling down in a puddle like the song says) at the BSM House. After kneeling in the puddle. And yes, I'm wearing men's capris. That year and the next, we played more coffeehouses, churches, house shows, apartments, campus events, etc. We started offering free music to those who signed up for our email list at shows. The email list became a pretty important tool for us. 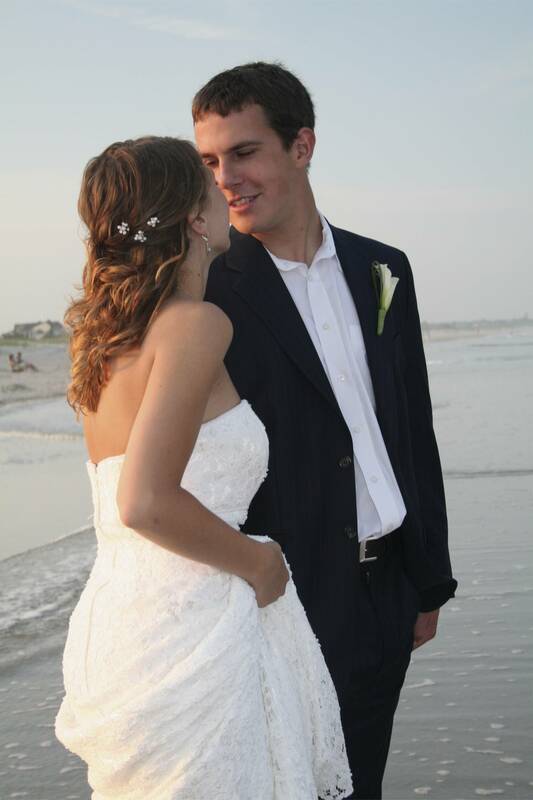 That summer we were married. On December 7th, 2007, we held a CD release concert for “A Prelude” at our church, Ogletown Baptist, to crowd of about 350 people. Jenny’s grandparents came down from Western, NY, that was pretty special. After playing what seemed like every possible venue in Delaware, from coffee shops like Brew Ha Ha to bars like Deer Park and the Logan House to proper venues like the Grand Opera House, we decided that if we wanted to pursue music as a career, we had to leave town. In Delaware, you can do pretty well as a cover band and make $2000-$3000 a night, but there’s not much of an original music scene at all. Because of that, unlike Nashville, there’s very little artist community or support in general. Also Delaware is not centrally located like Nashville is. From Nashville, we can get to Florida or New York or Canada or Colorado or Texas or Iowa (80% of major US cities so I hear) in a day’s drive. That’s why FedEx is located in Memphis. This makes touring much easier. I almost forgot to mention that for all this time (during college and for the first year and a half of our marriage), three and a half years to be somewhat precise, Jenny or I had some sort of job, so there was money coming in which we could spend on recording equipment, musical equipment, food, rent, etc. The last job I had before going full time with music was Starbucks. Starbucks was good to us. I think we played every Starbucks in DE while we lived there. Similarly, when I transferred to a Starbucks in Nashville, they hosted shows. They also essentially paid for the removal of our wisdom teeth. Thus concludes part 1. Stay tuned for part 2, to be posted next week. 1. Wrote songs when inspired. Eventually some of them we’re pretty good. 2. Made recordings. 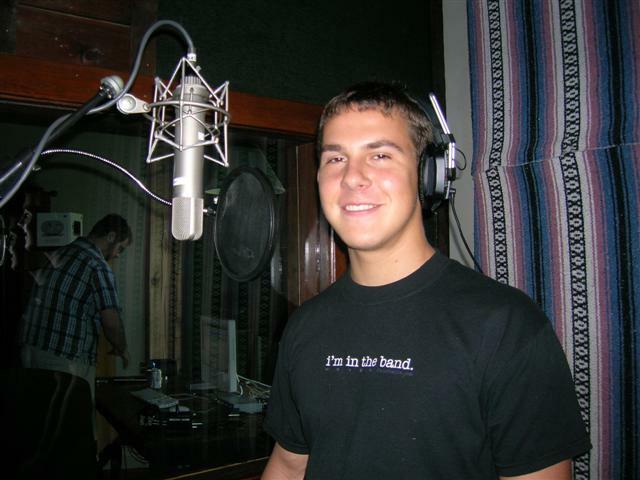 Learned how to record when a studio was put in my high school during my senior year. Asked musical friends for help. 3. Made websites. Learned how and had time to work on it when I was given a job at UD’s Mac Lab. 4. Booked shows. Used the recordings and websites to help with this. Wrote a personalized note to the venues. Played live for some venues. Followed up. Some doors opened and some didn’t. 5. Had other jobs (retail/coffee shops) and did music on the side for three and a half years before we went full time with it. Starbucks helped book a tour for us and allowed for an easy move to Nashville. 6. Moved to Nashville. Recorded. Wrote with other songwriters. Central location makes touring easy.